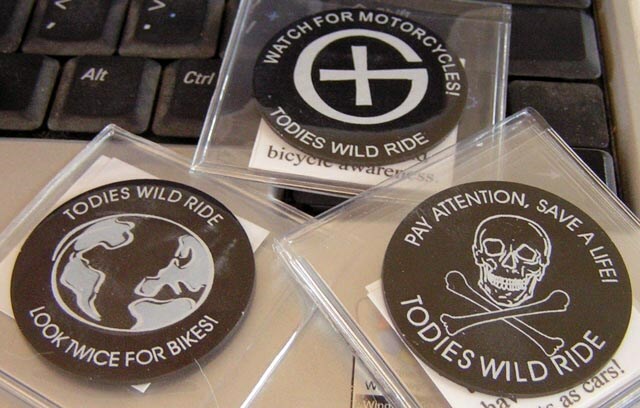 (TB30DPC) GeoCoins.net Trackable Token Geocoin - Todie's Wild Ride II: Ride to live! Todie's Wild Ride II: Ride to live! Use TB30DPC to reference this item. Gallery Images related to Todie's Wild Ride II: Ride to live! I was at GC21YZG (URGENT CACHE !!!!!!!!) today and TODIE'S was not there ... sorry! I thought you'd like to know. My daughter found this cache. She was super excited. We'll be moving Tod and his Motorcycle Awareness message on shortly.